Sources: Marshall and William Beecher, Jr. Follow the Wisconsin Central from Chicago to Slinger, WI. The 2 Beecher brothers have railroad access. This enables some uncommon viewpoints. They visit inside an operating interlocking tower. Scenes shot from opposing direction locomotives. 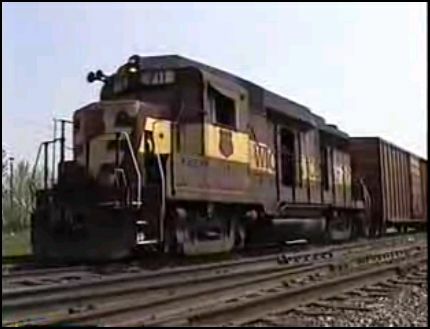 See many SD45 engines pulling freight trains. Plenty of action in this well paced show. 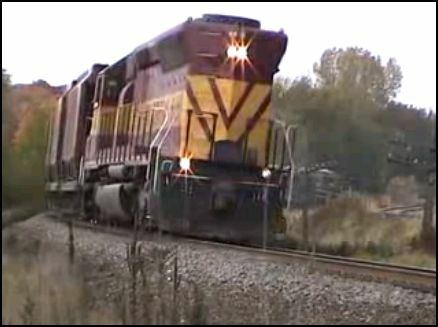 EMD SD45 locomotives are the prime power on Wisconsin Central. C Vision has a sparse narrative. Don Grant does a fine job. The train designations are frequent. Locations are on-screen or mentioned. Seems there could be more information via narration. Natural audio and that sometimes includes radio chatter. Editing is smooth. The narration has an off/ off choice. Way too many instances of ringing crossing bells is the other issue. Otherwise, the show plays fine. There is added interest of Wisconsin & Southern, plus Wisconsin & Calumet. 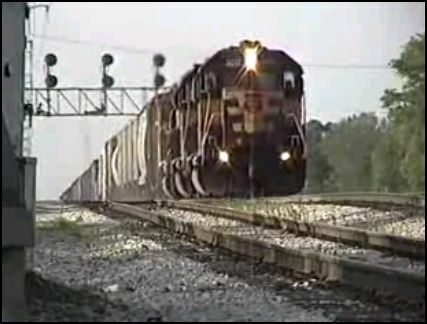 Foreign locomotives include: Norfolk Southern, CP Rail, Conrail and Southern Pacific. Metra and Amtrak as well. Action begins in Chicago. This WC move is on Indiana Harbor Belt at LaGrange. Marshall visits inside tower B12, shortly before it was closed down. Videography ranges from excellent to good. There are also, ‘artsy’ compositions. Flowers, tree branches and such. I’m sure these were cool at the time. Some still work. However, hindsight reveals these are mostly pre-graffiti era freight cars. Clear views stand the test of time better. 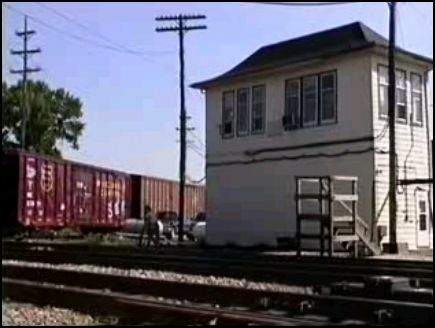 It is enjoyable to see so many freight cars in the show, Certain concentrations of activity highlighted, such as around suburban Milwaukee. Grays Lake and a few rural towns, offer multiple trains or some switching. A battered GP30 moves some cars. Note the Alco trucks. These were from trade in locomotives in the 1960’s. Soo Line had some of these. This info is an example of what is not in the narration. Hence, the ‘sparse narrative’. Consider it an operations style video. What you see, is what you get. Reverse angle displays the flared radiator grilles on the SD45. This is at Slinger, Wisconsin. 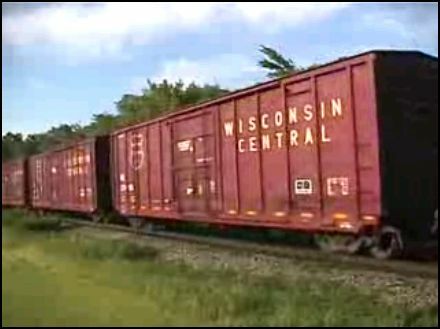 A Tribute to the Wisconsin Central Volume 1. This 2010 release delivers a briskly paced program. There are many trains, with extra variety by the other railroads mentioned. Plenty of graceful camerawork for the vast majority of scenes. All of the action results in a good show. 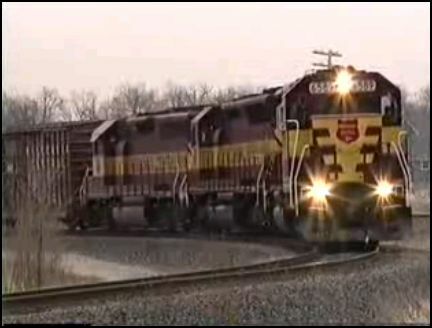 This entry was posted in ATVR Reviews and tagged American Train Video Reviews, Chicago railroad, Train DVD by William J. Hudson. Bookmark the permalink.